There's a direct correlation between rest, relaxation and rejuvenation, and a jump in creativity, productivity and better results. We need a chance to rest and focus on activities, emotions and pursuits outside of work. Work, love and play are the great balance wheels of man's being. 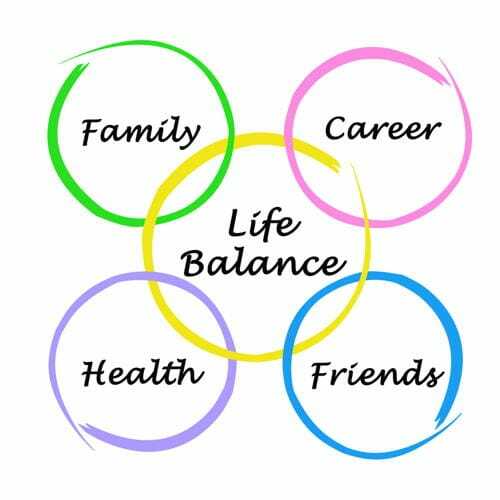 Obtaining this work-life balance doesn't just benefit our personal life, it benefits our capability at work as well. As Heather Schuck says, "You will never feel truly satisfied by work until you are satisfied by life." Just as personal issues affect your relationships, they equally affect your work life. Personal development is key. As Betsy Jacobson said, "Balance is not better time management, but better boundary management. Balance means making choices and enjoying those choices." The best work isn't work at all, it's what you want to do.